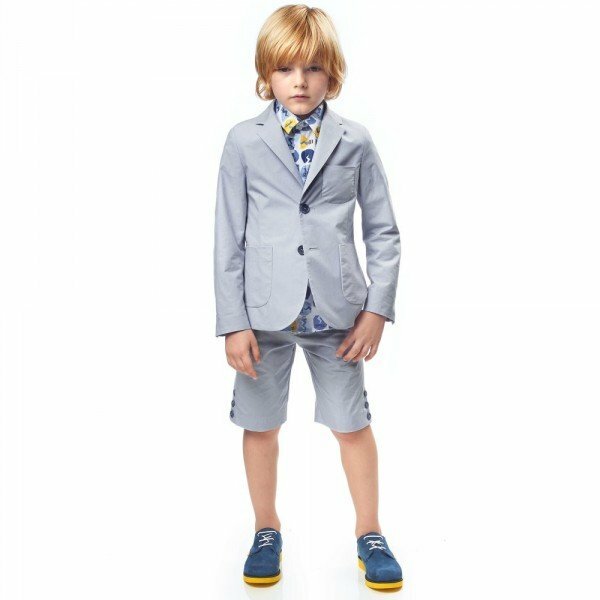 Love this Spring Summer look for boys by FENDI Junior featuring a blue long-sleeved shirt with the Fendi's signature monster 'Bag Bug' eyes, embroidered on the chest. 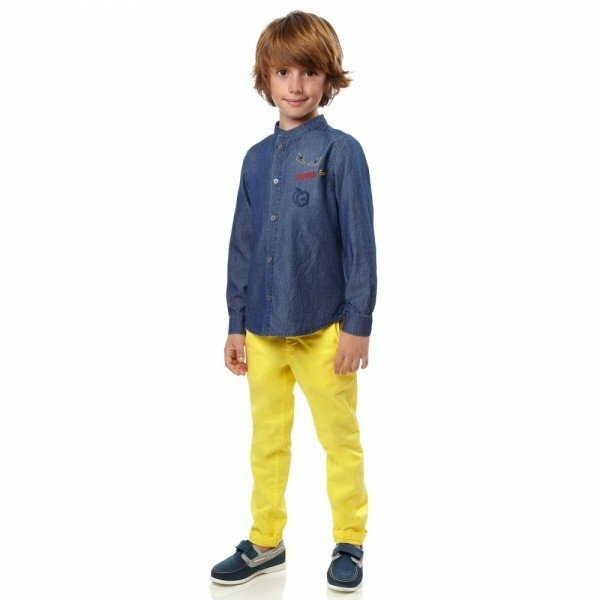 Spice up the look with a pair of boys bright yellow chino trousers by Fendi made in smooth cotton twill and side pockets trimmed with 'FF' logo printed fabric. Complete the look with a pair of red, white and navy blue unisex trainers by Fendi made with soft leather featuring the 'Bag Bugs' eyes motif on the front and the FENDI name printed on the heel.